This year (2017) is the 200th anniversary of the death of Étienne-Nicolas Méhul. As a composer he is still something of a vaguely familiar name, rather than a living part of our musical tradition. 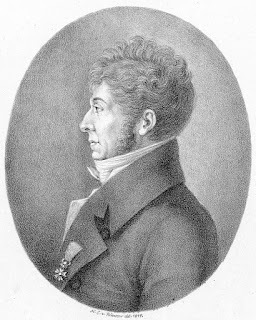 There have been a few performances of his works in the anniversary year (such as the Orchestra of the Age of Enlightenment's concert at St John's Smith Square) and now the Palazzetto Bru Zane has issued a new recording of Méhul's opera Uthal which premiered in 1806 at the Opera Comique and has rarely been heard since. It is performed here by Karine Deshayes (Malvina), Yann Beuron (Uthal), Jean-Sébastien Bou (Larmor), Sébastien Droy, Philippe-Nicolas Martin, Choeur de Chambre de Namur, Les Talens Lyriques, conducted by Christophe Rousset. 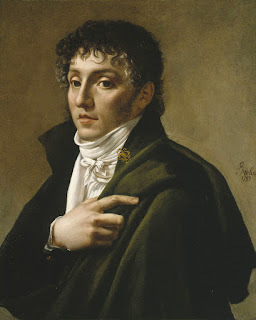 One notable side-light on the opera is that at its first performance the role of Uthal was sung by Pierre Gaveaux who created the role of Jason in Cherubini's Medéee and who as a composer wrote the opera Leonor ou l'amour conjugal whose libretto inspired Beethoven's Fidelio. Uthal is a strange piece, certainly there is nothing remotely comic about it, it is an example of the serious dramatic works with spoken dialogue which developed in France in the 18th century. 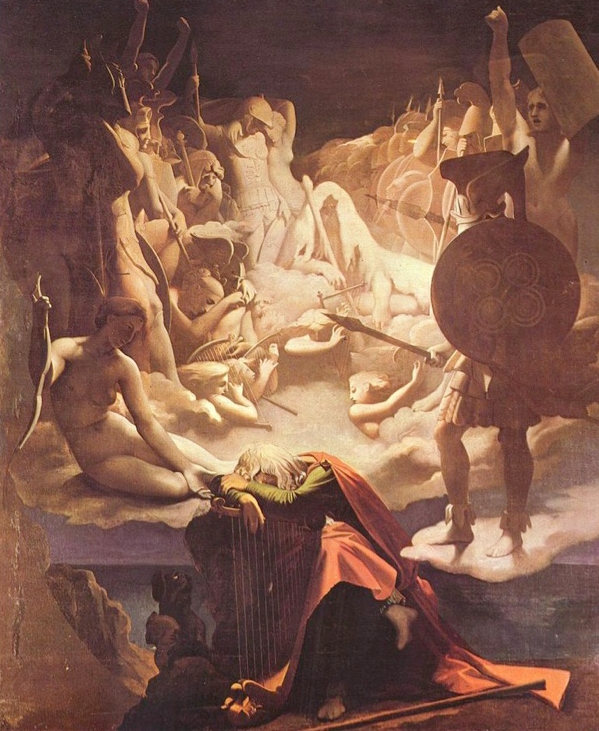 Inspired by the legends of Ossian (and the forged Ossianic poems of James MacPherson), the libretto (by Jacques-Benjamin-Maximilien Bins de Saint-Victor) recycles a classical story about a warrior (Uthal) who usurps the authority of his wife's (Malvina) father (Larmor). Nothing much happens, the opera takes place by the gathering place of the bards, and the leading characters come and go, interspersed with hymns from the Bards, but the opera's main action happens off stage. There is a lot of spoken dialogue (admirably delivered by the French-speaking cast) and the climax of the piece is a long spoken passage (lasting 3:26), followed by a final chorus. In the excellent accompanying booklet (with articles by Gerard Conde, Hector Berlioz, Arthur Pougin, alongside contributions from the composer, the librettist and from the Journal de Paris) there is talk of how Méhul was a little too accepting of librettos without questioning their quality. This seems a shame, because there is much musical interest. 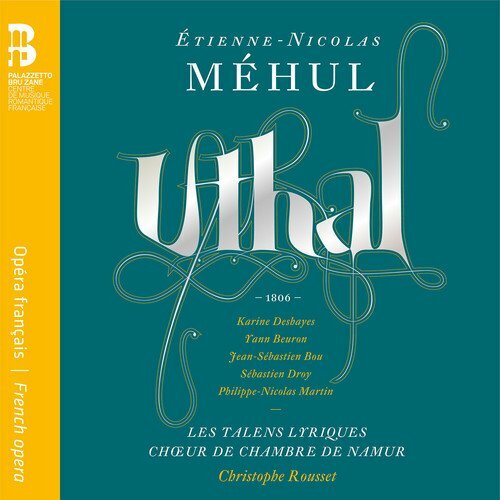 The highly dramatic overture, with its horns and off stage calls for Malvina, is vividly rendered by Christophe Rousset and Les Talens Lyriques. And the sound-world is very distinct, there are no violins in the piece, just divided violas which adds a haunting mellowness to the string tone and makes the wind stand out pungently. Though the composer Gretry famously said, after the first performance, that 'I would have given a louis d'or to hear an E string'. Each of the leads gets a solo moment or two, though the music is notable for its nobility and classical lyricism rather than the vividness of expression. Malvina and Larmor's opening duet is full of nobility of expression, though a later duo sees the two engaged far more vividly, with the chorus joining in at the end. One of a number of moments when Méhul mixes chorus and solo to striking effect. Karine Deshayes as Malvina has, perhaps, the most dramatic role with a number of strong accompanied recitatives, and two scenes where her impassioned music overlays or interrupts the more lyrical music of the Bards, but she also gets a finely poignant solo. The anti-hero of the piece, Uthal is introduced to us with another terrific accompanied recitative, followed by a finely melancholic aria, beautifully sung by Yann Beuron. But it is the choruses and ensembles which stand out, with some fine choruses for the Bards including the notable Hymn to Sleep as well as some terrific dramatic ensembles, which makes you regret all the more that Méhul shied away from final dramatic moments. If you listened to this without following the words you would rather think it a noble Greek tragedy than the Romantic outpourings of Ossianic Alba. Having given us a fine exposition we never really get the main drama, but Méhul's writing is full of imaginative touches such as Malvina's solo over the top of a Bardic chorus, or the moment when her father and husband are fighting (off stage) and a consolatory hymn from the Bard (Philippe-Nicolas Martin) is constantly interrupted by her anxious interjections. The work receives a very fine performance with all concerned bringing out the classical nobiity and Romantic intensity of Méhul's music. Rousset and the orchestra make vivid work of the overture, and relish the palate of colours which Méhul gives them to work with. This is clearly the same world as Cherubini's Medée, though Méhul's work lacks the concentrated intensity of Medée. The accompanying book is admirable in its comprehensive coverage of the music and contemporary reaction to it, full of illustrations too. What it lacks is an explanation as to why this particular Méhul opera was chosen for revival (even his best known work Joseph is only patchily available). Uthal would make an admirable and striking cantata. The choruses for the Bards represent some of the most striking music and you feel that with descreet editing, the work could be successfully reinterpreted. This disc is unlikely to bring Méhul back into the limelight, and we do need easily available recordings of some of his other major works. But this set sheds an admirable light on the talents of a forgotten Romantic.